The definition of zenith is "the highest point reached in the sky by any celestial object." Over the years I have always enjoyed Mr. Copland's work. I identify deeply with his musical sensibilities. The pianist has consistently tried to reach his own personal musical zenith, whether it be as a leader or as a much sought after sideman. With his latest recording Zenith he may have accomplished just that. From the opening bars of "Sun at Zenith" you are transported into a world of thoughtful rumination. 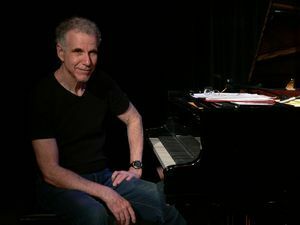 Mr. Copland has a wonderfully sensitive touch on his keyboard and here he is joined by his working trio of equally emotive musicians, his long tenured associate Drew Gress on acoustic bass and his frequent collaborator Joey Baron on drums. The trio finds another partner in this evocative music making journey in the form of the trumpeter Ralph Alessi, a musician whose subtle brilliance shines beautifully on this recording. Together these gentlemen make magic happen. All compositions, except "Mystery Song" and "Air We've Never Breathed," are by Mr. Copland whose style has a floating, weightless feel to it, the perfect platform to allow Mr. Alessi's delicate trumpet work to soar in the open, both within the band's elastic rhythms and above them. "Sun at the Zenith "is a testament to the group's one speak-four musicians melding their distinct sounds into one cogent and unified statement of beauty. Listen to the pliant bass work of Gress on the opening of "Mystery Song," a Duke Ellington composition hardly recognizable under Copland's modern arrangement, specifically tailored to be a true collaborative effort for these particular musicians. Mr. Baron's syncopated drum work is the epitome of subtle force and probing drive. Copland's piano is rhythmically elegant as it weaves lines of unexpected beauty over the composition's core rhythmic drive. The effect is intoxicating in the way the group just pulls you along into its sway. Alessi is a unique voice on the trumpet, a voice that sings in an almost angelic way. Even when he reaches to the outer limits of the trumpet's higher register it is restrained and purposeful with no tendency toward brashness. The "Air We've Never Breathed" is a three-part suite that is like a series of tonal conversations that was created by Mr. Copland along with his other band mates. The first features an interchange between Gress' plucky bass and Alessi's muted trumpet, subtitled "The Bass Knows." This proceeds to Copland stirringly creating a series of repeated motifs on piano titled "Up and Over." Gress and Baron percolate in their own rhythmic soup over which Copland and Alessi have their own distinct conversation. The music vacillates between subdued and animated with each musician lending their individual talents in a show of unified purpose. Baron suddenly transforms the music with a stunning display of precision cymbal work on the final piece titled "Lips." The relentless cymbal time used as a background for a gorgeous interplay between Copland's melancholic piano and Alessi's sorrowful trumpet. "Waterfalls" is a wonderful vehicle for the pulsating bass work of Gress. No other bass player, with the exception of Christian McBride, sounds quite as robust at keeping such difficult and complex time with unerring consistency as Drew Gress. Anchored by his frenetic heartbeat, the group veers into a driving cascade of sound that finds Alessi at his most intense, pulled along by the gentle prodding of Copland, the unassuming director of the whole production. Baron splashes into the current with his liquid-like cymbal work. The more traditional "Best Bet" is a composition that features Copland at his most lyrical. The gentle, breezy feel is accentuated by Alessi's solo work that takes to the air like a bird in flight. Copland's dancing elegance creates an air of calm beauty that is reminiscent of some of Bill Evan's ruminative ballad work. His cascading arpeggios fall lightly like lingering raindrops falling on a thirsty leaf. Alessi's poignantly squeezed notes perfectly counterbalance Copland's tender sound. The last cut on this fine album, titled "Hurricane," has a circular feel to it with Copland's repeating lines and Gress' big round bass pulsating throughout. Baron's rambunctious drums create the whirlwind background as Alessi's horn hovers like a scream in the wind. Copland's piano is at its most percussive with the bombastic Baron filling in between the notes with relentless cymbal crashes, tumultuous toms and pops on his snare. A hurricane of sound that leave the listener anxiously waiting for the impending calm. 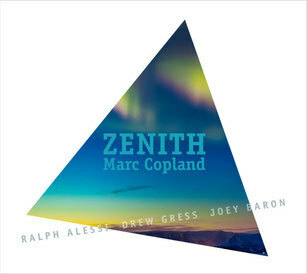 Zenith is an initial release from Mr. Copland's recently formed label, Inner Voice Jazz. If this first recording is any indication of what is to come, this label will be a sure source for superbly creative recordings in the future.